A version of this article first appeared on EducationNext.org last month. 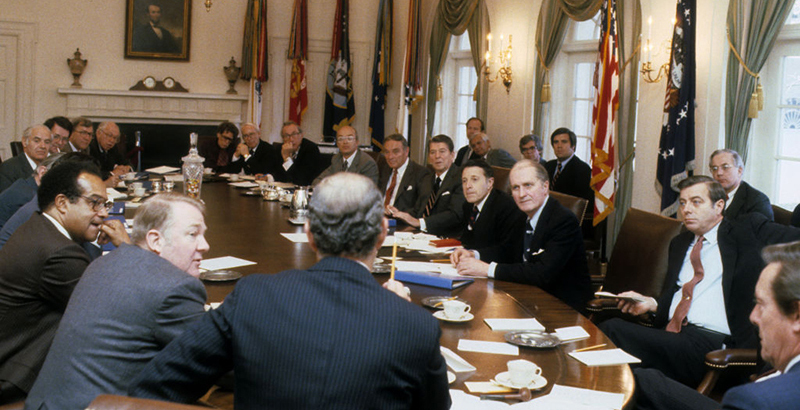 Politically, the report caused significant early wrangles between White House aides to President Ronald Reagan, who had opposed creating a presidential commission, and Secretary Bell, who when faced with that resistance opted to employ the Department’s statutory authority to create the commission at the cabinet level. These tussles intensified when the report didn’t focus on White House priorities for education circa 1983, namely abolishing the young Education Department itself (widely seen as a bone tossed to teachers unions for their support in the 1980 election), allowing organized prayer in schools, and supporting vouchers and tuition tax credits for private school expenses. The Department of Education had only begun operating in 1980 under Jimmy Carter’s administration. Eventually, however, as they saw the report striking a major chord with voters, White House aides embraced it. Reagan would himself attend three of 12 regional meetings convened by Bell to discuss the report. Surprisingly, he would also accept an invitation from Albert Shanker, then president of the American Federation of Teachers, to address the union’s 1983 annual convention and discuss the report’s findings. Bell would also undertake a new initiative inspired by discussions he had on the report with the nation’s governors during their 1983 summer meeting. Many governors criticized the U.S. Department of Education for not providing yearly, reliable, national, state-by-state information in a simple and straightforward format that allowed for comparisons on multiple indicators. This led Bell to create the Secretary’s Education Wall Chart, which contained numerous indicators that allowed for state-by-state comparisons, including information on SAT and ACT scores and the percentage of high school students in each state taking the exams, the percentage of students who lived below the poverty level, student dropout rates, minority student enrollment, teacher salaries, and more. Finally, the administration would make education reform into a political issue for the 1984 presidential campaign, using Reagan’s deftness in the “bully pulpit” to argue for the commission’s conclusions regarding the lackluster state of student achievement in the U.S. It fell to Bennett and his team to create a formal policy agenda for K-12 education reform, an agenda that would be based on “A Nation at Risk” but also aligned with the administration’s political and policy priorities. Bennett unveiled it on March 27, 1985, in a speech at the National Press Club. This focus included what the commission dubbed “the five new basics” — i.e., 4 years of English, 3 years of mathematics, 3 years of science, 3 years of social studies, and one half year of computer science. (Two years of language were strongly recommended for college-bound students.) Later, Bennett would make his own strong personal curricular recommendations in two publications released by the department: James Madison Elementary School and James Madison High School. He was not at all inhibited in spelling out what he thought students should know and be able to do before graduating from high school. For Bennett, the mastering of content developed intellect, which goes hand-in-hand with developing character — what the report called “student conduct” while acknowledging that developing intellect is no guarantee of good character. Schools must expose children to good character and invite its imitation. To Bennett, a key problem with schools was — and still is — that they cannot be directly held accountable by parents. A key way to improve them is “if parents had a greater ability to choose another school — a better school.” He called for a redesign of public education through “instruments of choice … within public education and between public and non-public education.” This would include both vouchers and tuition tax credits. He observed that many Americans already had “a voucher … known as the ability to buy the school of their choice by buying the neighborhood of their choice.” With this formulation, Bennett was again able to link the administration’s agenda to what he proposed for the Department’s K-12 policy agenda. ● Converting traditional Title I basic grants that went to school districts and provided special financial support to schools with high percentages of children from low-income families into compensatory education vouchers worth several hundred dollars to purchase public or private education services. ● Creating tuition tax credits whereby parents could recover up to $300 of a child’s private school tuition. ● Expanding data collection for the National Assessment of Educational Progress — the nation’s report card — from providing only national and regional data on student achievement to state-specific achievement data, thereby making state-to-state student achievement comparisons possible for the first time. ● Reorganizing the National Center for Education Statistics to address problems associated with its data-collection quality, accuracy, and publication timeliness, including significant expansion of its data-collection surveys for K-12 public and private education. Bennett and his team did, however, succeed in working with the Democratic Congress to enact the other two proposals, thereby establishing a recurring state-by-state trove of student achievement data and background information for different academic content areas. It would go on to include international assessments, making comparisons possible between U.S. students and other students around the world. (As befits this 35th anniversary, NAEP 2017 results were just released today.) This formed the basis for all types of analyses that led to debates that continue to this day about how well — or poorly — schools are preparing students for college, careers, and citizenship. The continuing flow of solid information on K-12 education emerging from the Reagan administration’s legislative successes would become the fuel that stoked the education reform movement — or what would be called by some “the excellence movement” — to this day. So with the three C’s, Bennett and his team skillfully integrated the administration’s political agenda for education with a broader K-12 “excellence” agenda that he would magnify with his use of the bully pulpit for the remainder of the Reagan administration. For example, significant elements of that agenda were taken up by the nation’s governors under their multiyear project that spanned 1985 to 1991 called “Time for Results” and also in their 1989 education summit in Charlottesville, Virginia, with President George H.W. Bush. In short, the three Cs and that legislative agenda would frame many of the education reform conversations that occurred over the following 30-plus years (and that continue even now). They would create the framework for the two key elements that would dominate education reform discussion to this day: standards-based reforms — including testing and accountability — and choice-based reforms like charter schools, vouchers, tax credits, education savings accounts, and other mechanisms that allow public dollars to be used for a variety of educational options. Over these 35 years, the message of “A Nation at Risk” has had remarkable durability and resilience. Bruno V. Manno served in several senior positions in the U.S. Department of Education from 1986 to 1993, observing firsthand the development of the agenda described in this piece. He is now senior adviser for the Walton Family Foundation’s K-12 program and co-author of Charter Schools at the Crossroads. Bruno V. Manno served in several senior positions in the U.S. Department of Education from 1986 to 1993. 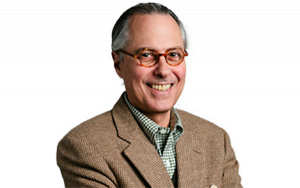 He is now senior adviser for the Walton Family Foundation’s K-12 program and co-author of Charter Schools at the Crossroads.